The newly opened location will expand company’s existing office portfolio, including several offices in Europe and recently announced US presence. 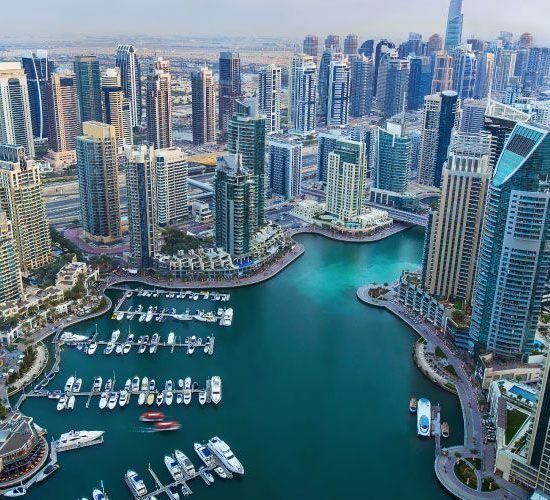 Dubai, United Arab Emirates – Walkbase, a leading IoT analytics and marketing platform for retail, today announced the opening of its office in Dubai, UAE, resulting from a growing number of existing customer cases and ongoing discussions in the Middle East region. 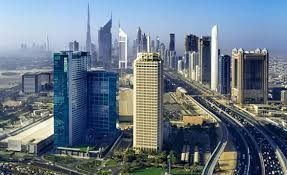 The decision to open a Dubai office came after a successful closure of several major projects. The Walkbase platform helps retailers and venue owners optimize their operations by measuring customer behavior in real time, which allows them to utilize rich behavioral data for improving marketing campaigns and creates tremendous opportunities for enhanced personalized marketing. The role of the physical locations has been greatly undermined in the recent years with the growing pressure of ecommerce taking advantage of the extensive data on customer online behavior. By deploying the solution, retailers are able to merge the initiated digital transformation with the unique benefits of physical shopping in the most seamless and tailored way, thanks to the advanced mix of latest technologies, and fill the missing gaps in the consumer journey, from online to offline. Walkbase already has several partnerships in the Middle East and is well represented throughout the region. One of the latest collaborations with Huawei has generated a lot of interest at the GITEX conference that took place in October in Dubai, where both parties jointly introduced their new product called Crowd Venue Analytics. Another big player on the market whom Walkbase has a strong relationship with is the local network and system integrations provider, British Telecom Al Saudia, has been ensuring successful deployments and collaboration between Walkbase and a large number of customers in the Middle Eastern region for almost two years. “We are thrilled by the demand our retail IoT and marketing platform is generating in the recent months and can’t be happier to expand into new territories,” said Adrian James, COO, Walkbase. “We will still be continuing business as usual working mostly through our trusted partners making sure all the implementations are running as smooth as they possibly can. However, mirroring the key message of our platform, it is fair to say that establishing our own physical presence in the region is vital for delivering high quality product and keeping our customers satisfied”. The retail IoT technologies are starting to gain the momentum all over the world, with Dubai as one of the world’s most highly recognized retail hubs and the future capital of World Expo 2020 being no exception. Following the theme of the World Expo being ‘Connecting Minds, Creating the Future’, the city’s key players are very eager to experiment with new and innovative technologies aimed at linking digital and physical channels together. The recent developments towards the more connected and sustainable future have generated multiple projects requiring IoT solutions across a number of industries, pushing seamless customer experience to the forefront of the future smart cities’ vision. Walkbase is the leading IoT platform providing customer behavior analytics and marketing automation capabilities for brick and mortar retailers. Just like web analytics platforms have revolutionized the online shopping experience, Walkbase provides the same level of customer behavior understanding and personalization to brick-and-mortar stores. The platform analyses in-store customer patterns, measures and optimizes the impact of marketing on physical stores, engages customers with personalized marketing messages based on in-store customer behavior, and links the online and offline customer journeys together.